China Glaze Holiday 2014 Twinkle Collection Swatches, Review and GIVEAWAY! It's hump day. For once, this week is actually going by fast. Today I have swatches of the brand new China Glaze Holiday 2014 Twinkle Collection! You saw a sneak peek in my Cosmoprof North America polish post here. This release includes 11 polishes and one wintry special effects top coat. And the best part? 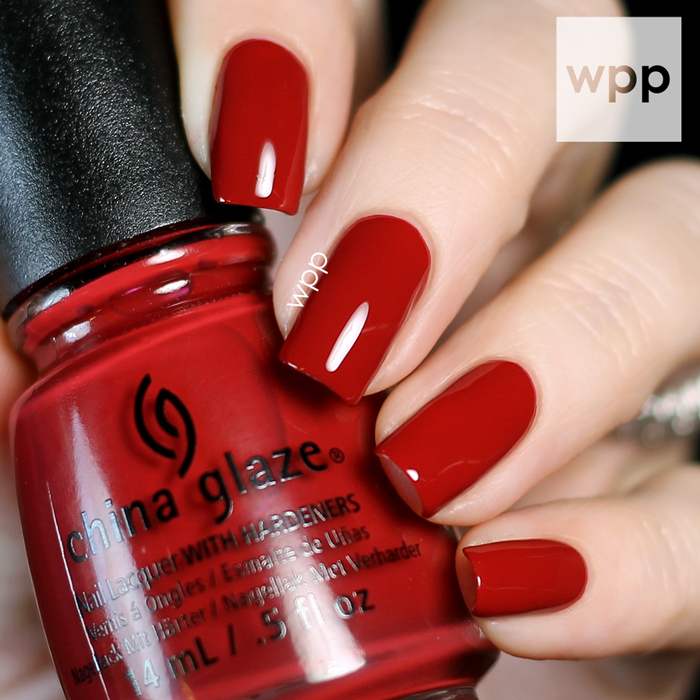 China Glaze is generously giving five WPP readers the ENTIRE collection! Stick around to the end of the post to find out how to enter! I'm going to start with my surprise favorite. Meet Me Under the Stars is loaded with fine holographic glitters in a black jelly base. There was a touch of visible nail line after two coats, so I went with a third. I love this one. It has that galaxy-in-a-bottle look to it. 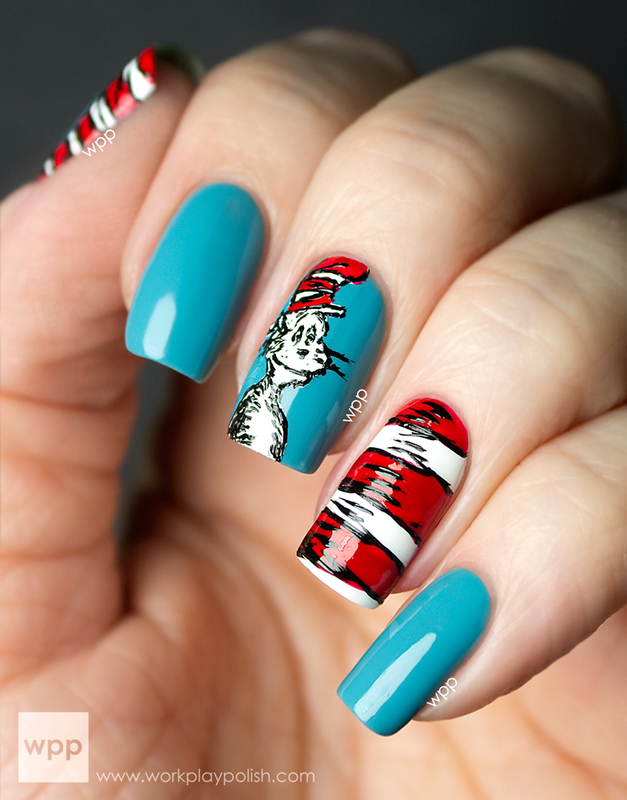 Tip Your Hat is a classic, shiny red creme, that leans on the deeper side in some light. It's such a pretty red and the formula is perfect. My swatch is two coats. Feeling Twinkly is another favorite of mine. It's a medium blue ultra-fine glitter in a clear base. It's practically opaque (and super sparkly) in three coats and would also make a great topper (I'd love to try it over black!). Isn't it stunning? I'd Melt For You is a silver chrome/metallic. 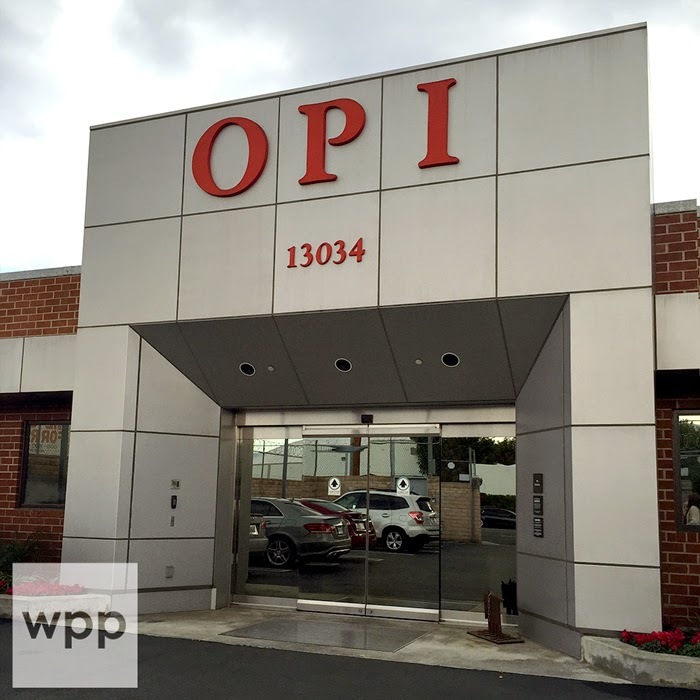 There are a few of these on the market already and like the others, any imperfections on the nail will be magnified. If you haven't picked up a silvery chrome yet, I'd Melt For You has a nice formula. I used two coats. No Peeking! is an eggplant purple shimmer. The formula was a little thick, so I was conscious not to overwork it. It finished smoothly and wasn't too brushstroke-y. I like the dusty-ness of the color. This is two careful coats. Next up is December to Remember. It's definitely the most unique shade in the collection - a medium, steely blue with a silvery purple iridescent shimmer. It has a smooth finish, but the formula feels like it has small flakies in it maybe? You could probably get away with two generous coats, but I used three thin coats here. Out Like a Light is a dark grey creme. I'm so happy to see this shade in the collection. I'm a HUGE fan of grey polish and dark grey is great for the winter months. This is two easy coats. Pine-ing for Glitter is another fine glitter in a clear base...this time in a Christmas green with a few sizes of small glitters. You can see in my swatch that some of my nail was peeking through at three coats. It would be perfectly opaque in four and also would make a nice single-coat topper. I have to be honest, I didn't expect much from Define Good.... China Glaze describes it as a "sultry cranberry shimmer". But wow! It almost glows. This is another suprise favorite for me. It was a little streaky on the first coat, but perfect in two. Dancing & Prancing is loaded with multi-sized, hex glitters in a clear base. The colors are more birthday party than winter holiday to me (think pinks, blues, and silvers, instead of reds and greens), but it's still a great glitter bomb. My swatch is two generous coats over December to Remember. De-Light is a holographic gold hex and bar glitter topper. I've swatched two thin coats over the Tip Your Hat. It spreads really easily and is super sparkly, but I feel like we've seen this polish before. And last, but not least, here's Chillin' with my Snowmies, the special effects topper. It has a clear base filled with multi-sized matte white hex glitters or "snowflakes" (as China Glaze describes them). The glitter is sparsely suspended in the base, so I fished and dabbed individual glitters where I wanted them over Out Like a Light. I'm actually really digging the result. 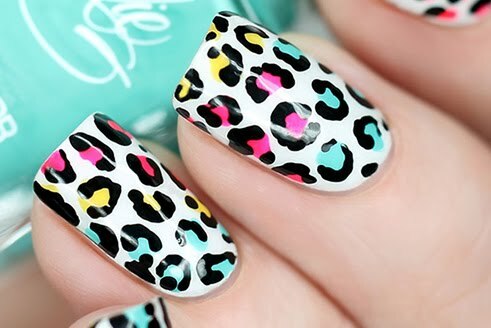 I like the clean, minimal look...almost like nail art! I've been looking forward to this collection since July. It's so fun to see them in person. The collection is a great mix of staple shades and some nice surprises. The China Glaze Twinkle Collection will be available in November. Individual shades retail for $7.50 MSRP. 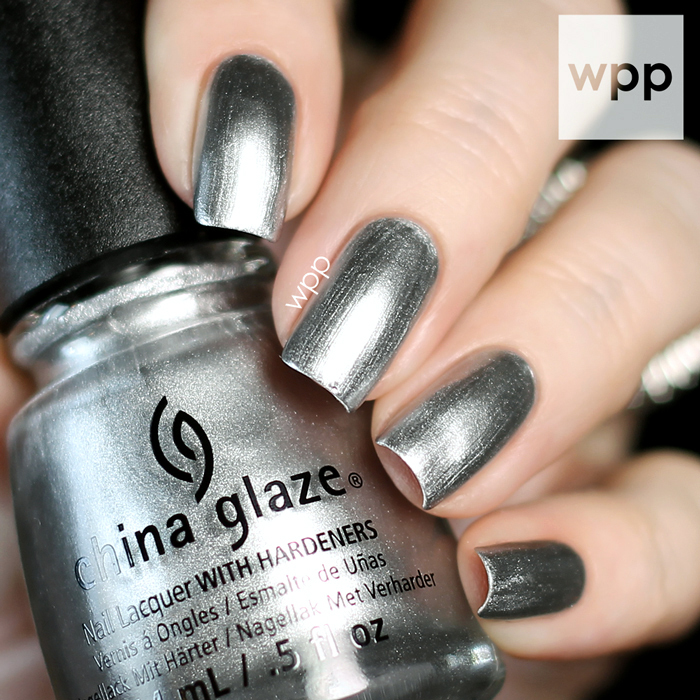 For more information, please visit www.chinaglaze.com and follow China Glaze on Facebook, Instagram, Twitter and Pinterest. Join the fun with #ChinaGlazeTwinkle. Now it's time for a giveaway! China Glaze is providing the ENTIRE Twinkle Collection (that's 12 polishes) to five lucky WPP readers. Head over to Instagram to enter. 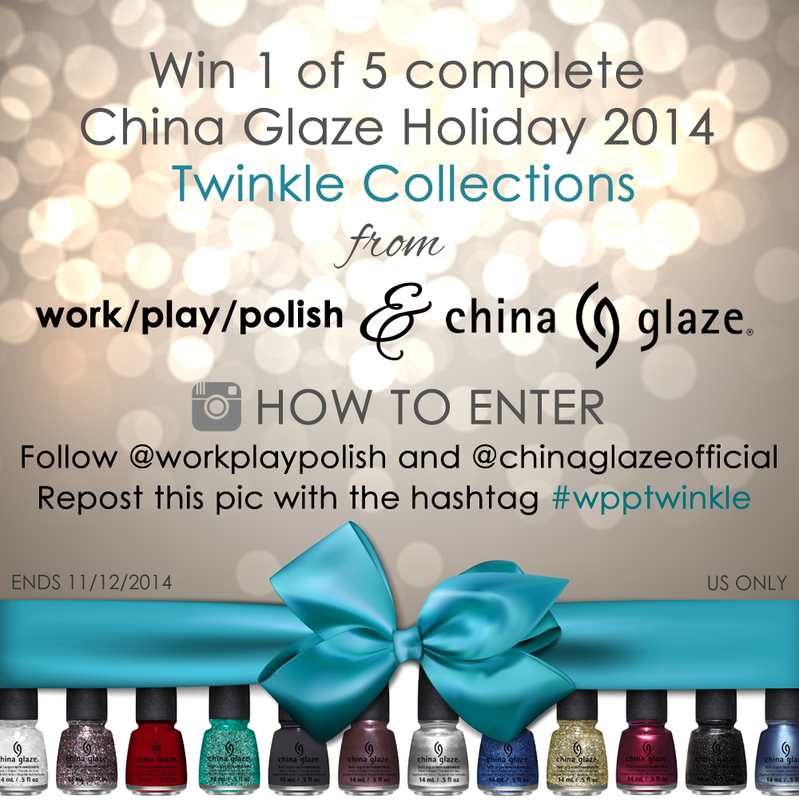 Simply follow workplaypolish and ChinaGlazeOfficial on Instagram and post the pic below to your account with the hashtag #wpptwinkle. Enter before midnight on 12 November 2014. See official rules below the graphic. Good luck! Giveaway begins on 29 October 2014 at 7:00 AM (Eastern Time (US & Canada)) and ends on 13 November 2014 at 12:00 AM (Eastern Time (US & Canada)). Five winners will be selected at random from all eligible entries within 48 hours of contest end and will be announced via Instagram. Each winner will receive the China Glaze Twinkle Collection (ARV $90USD) provided by China Glaze (sponsor). Prizes will be shipped directly to each winner by sponsor.